Before making any major investment decision, it’s important to ask questions – especially when that decision involves your kitchen. We want to make sure that you make the right enquiries before you go ahead with your kitchen renovate, which is why we’ve put together this handy list of questions and the answers you should be looking for. 1. How much do flatpack kitchens cost? If you’re already looking into flatpack kitchens, you’ve likely heard that they are a more cost-effective way to renovate your kitchen. But that still doesn’t explain how much they might cost. You can save even more with a Kitchen Shack kitchen. We offer a Lowest Price Guarantee where we’ll match a competitor’s price for the same product and service and then beat that price by five percent. 2. How difficult are flatpack kitchens to install? This will depend on the individual and their experience in building and installing cabinetry and drawers. 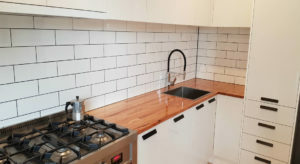 It’s possible for individuals with little to no experience to fully install a flatpack kitchen on his or her own, however, most people prefer not to do this. Flatpack kitchens are modular, which means that they can be configured to fit into any space. Our flatpack kitchens here at Kitchen Shack are easy to build into any shape and size of the kitchen. Even more so with the Kitchen Shack kitchens being delivered to you fully assembled. For those who don’t feel comfortable installing their own kitchen, or for those who simply don’t have the time, we can suggest some trusted professional cabinet installers to do the job for you. 3. Does it matter where a flatpack kitchen has been manufactured? The more local the manufacturer, the more likely you are to receive quality customer service before, during, and after the installation of your flatpack kitchen. Should an issue arise, you know exactly where to go for further assistance. Kitchen Shack’s manufacturing supplier for our flatpack kitchens is right here in Melbourne. Not only are we able to provide unparalleled customer care to our clients, but purchasing a locally Melbourne-made flatpack kitchen reduces environmental impact and helps support our local economy. 4. Quality – have your products been tested for moisture resistance? The kitchen is easily the messiest room in the home. Your cabinets and drawers have to be strong enough to withstand the splatters, the steam, and the heat that this room is sure to create. That is why our Kitchen Shack cabinets and drawers are constructed from high-quality materials that have been tested to guarantee their resistance to moisture. Our products won’t swell, buckle, warp, or become discoloured over time. Even our benchtops are designed with a drip edge so that messes won’t stick to the material. 5. Are your products backed by a guarantee? Any quality flatpack kitchen manufacturer will back their products with an extensive guarantee. Our company is proud of our beautiful, long-lasting kitchens, which is why we offer a 10-year guarantee to our clients. Kitchen Shack offers an extensive range of Melbourne flatpack kitchens that can be made to fit any kitchen design. 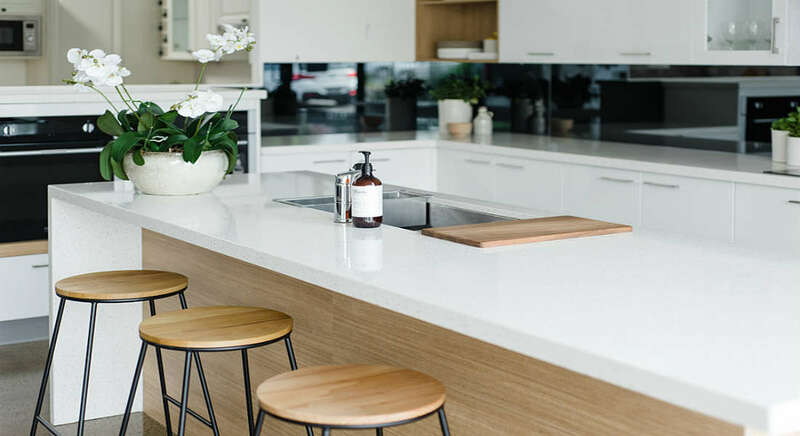 We welcome your call today with any further questions you may have or stop by one of our three convenient kitchen showrooms in Maribyrnong, Preston, or Kilsyth.